Colorado Tri-Flo Systems, LLC was formed in 2010 in Longmont, Colorado comprising over 30 years of experience in heat transfer, airflow dynamics and manufacturing. Our team provides customers with a complete range of patented heat transfer products designed to fit any standard or custom application. Our Eradi-Flo line is certified to adhere to the ETL standards of manufacture and performance. They are becoming one of the premier bed bug eradication heating lines in the market. Tri-Flo’s mission is to provide products that deliver efficient and effective heating through innovation, intelligent design and management of air flow. We continue to test our ideas and innovation for application in other commercial markets such as restoration and construction heating. Colorado Tri-Flo Systems specialize in convective heated airflow design. The patented design makes our products work with airflow not against it, creating a booster effect. We have decreased static pressure and resistance and created positive pressure, thereby generating a more focused air-stream so heating elements transfer more heat directly into the air-stream, quickly and efficiently. Our electrical components are contained within the unit where they are continuously cooled to work at optimum efficiency and longevity and contribute to the compact physical size. 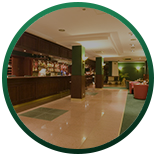 Our heaters are versatile and applicable in many different applications — residential, commercial and industrial. They are easily adaptable to any existing system, either as the main heat source or as a supplemental system across 110V and 220V services. 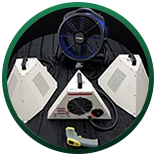 Shop for Tri-Flo’s innovative heaters, which serve as the fastest way to get rid of bed bugs among many other applications. Get yours here.